Be at the beastie-packed wonderland on March 20 for learning, exploration, and fun. 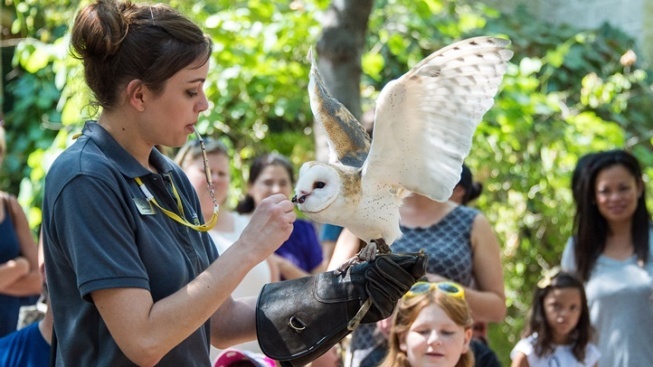 Enjoy one-dollar admission at the beloved wildlife center on Tuesday, March 20, 2018. "SPECIALIZED PROGRAMS"... during the day, programs "... focused on state endangered species and those endemic to California." A host of craft-making opportunities for kids will also be part of the schedule, and games, too. And if you long to "... advocate for the protection of wildlife, as well as the environment"? Finding out how is part of the special day. So find that dollar bill, and make for Walnut Creek on March 20, the first day of spring, from 10 a.m. to 5 o'clock, to eye marvelous animals and to learn more about how we can help those critters who share our home planet with us (and, indeed, us with them).